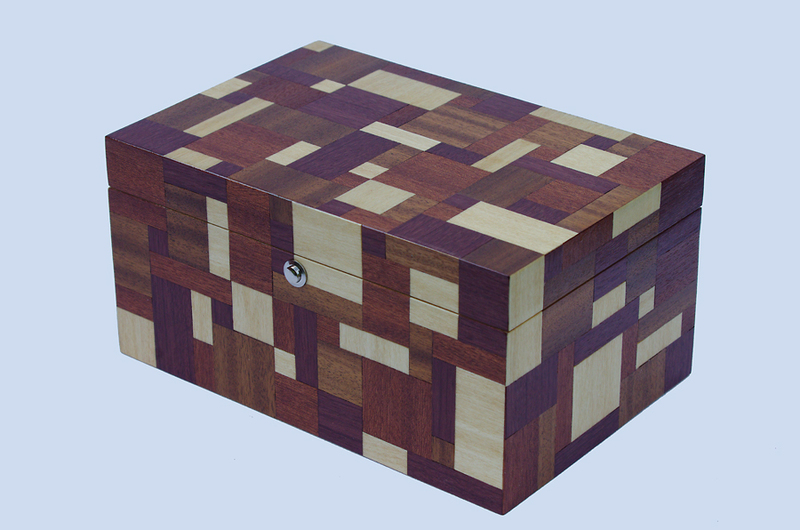 Jewellery box made in solid Padauk with hand cut sunburst pattern top and Maple inlay, Maple hinges and handle. The inside is lined in light suede and the box comes with a Padauk tray with ring holder. Finished in Shellac and Danish oil. Box measures 270mm x 195mm x 110mm.